In order, the top 3 best selling vehicles in the U.S. last year were the Ford F Series, Ram Trucks, and the Chevy Silverado. The pickup truck market is huge and stands as the second largest vehicle segment. It’s pretty clear that manufacturers are focusing on entering the electric car market with crossovers, the leading segment, but where are the electric trucks? Battery costs are still too high to power a massive work vehicle capable of towing 8,000 lbs such as the Ford F150. Legacy automakers are taking a step back until costs become comparable to current engines. Who could blame them? Sure, EV sales are rising, but truck sales arn’t declining. This leaves an open market as no one has yet to manufacturer an electric truck. Below are 5 upcoming electric pickups fighting to be the first. 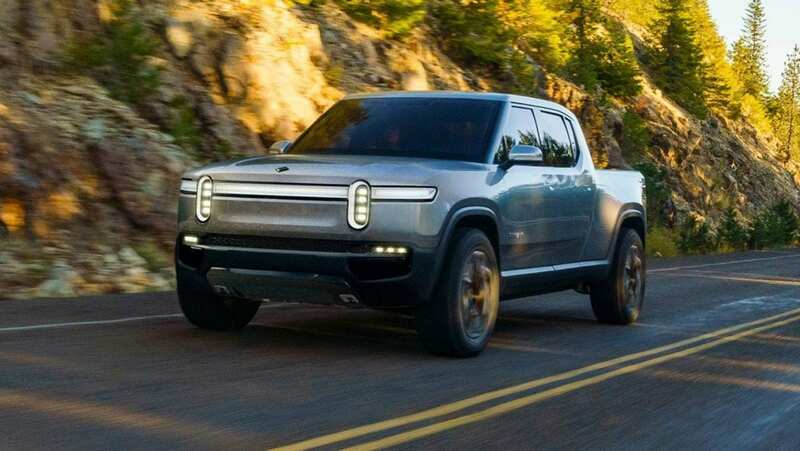 The Rivian R1T might just be the most anticipated electric truck on this list after recently making its debut at the 2018 L.A. Autoshow. 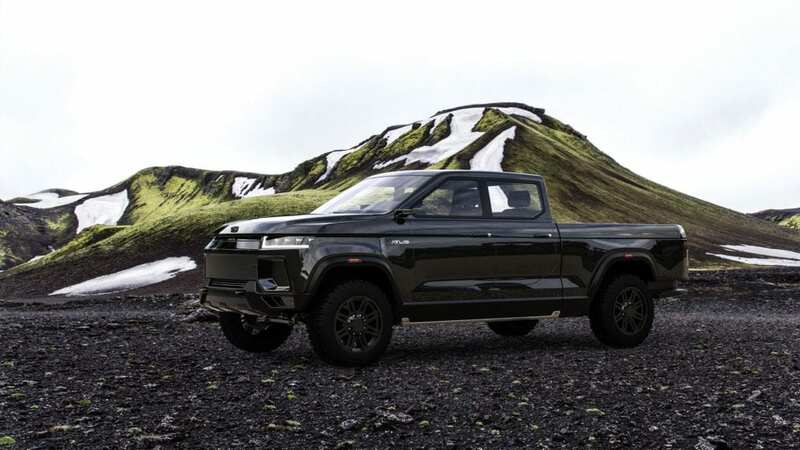 This is a luxury truck at its finest but Rivian is also giving it the title of an “electric adventure truck”. With 600 employees, 4 facilities, and $450 million in backing, this might be the first electric truck to actually hit the market. 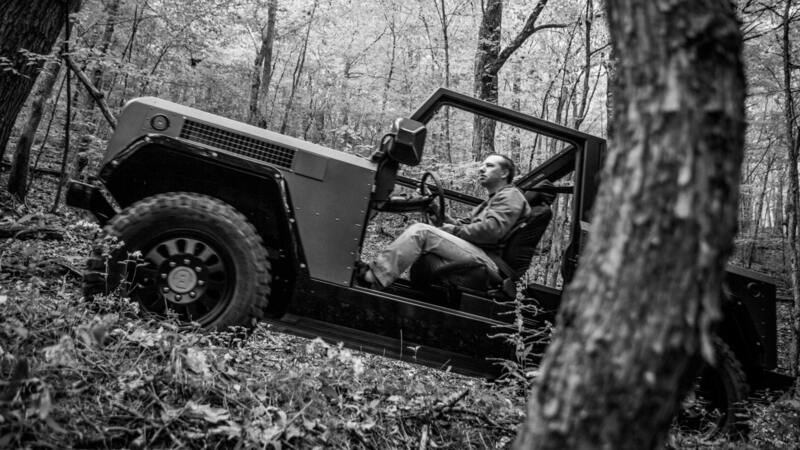 This electric truck is designed with off road and lifestyle intentions rather than work. While its aesthetic displays this in line with a Range Rover, Rivian is looking to make this more of a toy. Catering to those who leave their trucks covered in mud or just need a massive machine to tow their jet skis. Its general appearance is mostly for aerodynamics but those headlights are definitely a statement. What they’ve dubbed “Stadium Lights” and long “Position Light” are simply meant for you to recognize the car on the road. Its general dimensions make it slightly larger than a Honda Ridgeline or Chevrolet Colorado Extended Cab. Even with a massive battery pack, the R1T can safely travel through waters up to 3.3 feet in depth which is a foot more than the Mercedes G-Class. It has a payload of almost 1,800 lbs and can tow 11,000 lbs. The Rivian R1T is set to come with three battery options, a 105 kWh, 135 kWh, and a massive 180 kWh. These translate to 230 miles, 300+ miles, and 400+ miles of range. The largest battery currently on the market is by Tesla at 100 kWh capacity and a 335 mile range. Surprisingly, the mid-range 135 kWh model is set to have the most performance at 754 hp and a 0-60 of 3 seconds. The long-range 180 kWh battery is set to have 700 hp and a 0-60 of 3.2 seconds. The difference most likely caused by the weight of the pack. The base model is set to go 0-60 in 4.9 with 402 hp. 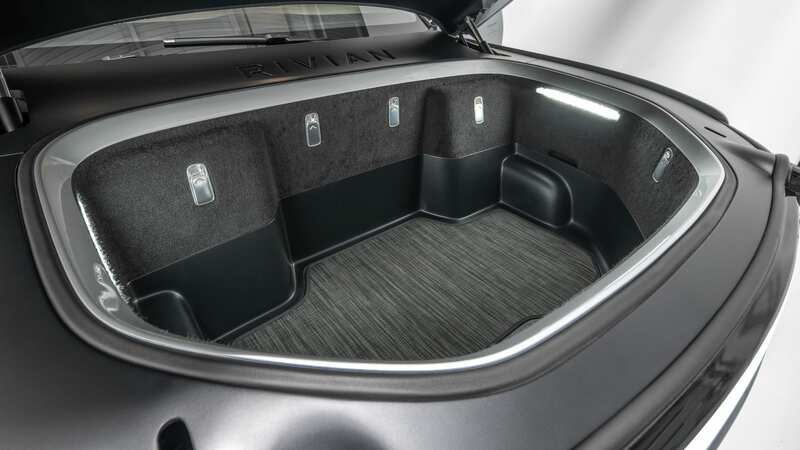 All 3 models are capped at a 125 mph top speed but Rivian has stated the possibility of over-the-air performance upgrades as an option. What might not be the largest truck on the market definitely has an adequate amount of storage. The truck bed is not the largest at 55 inches but Rivian has found other storage solutions. 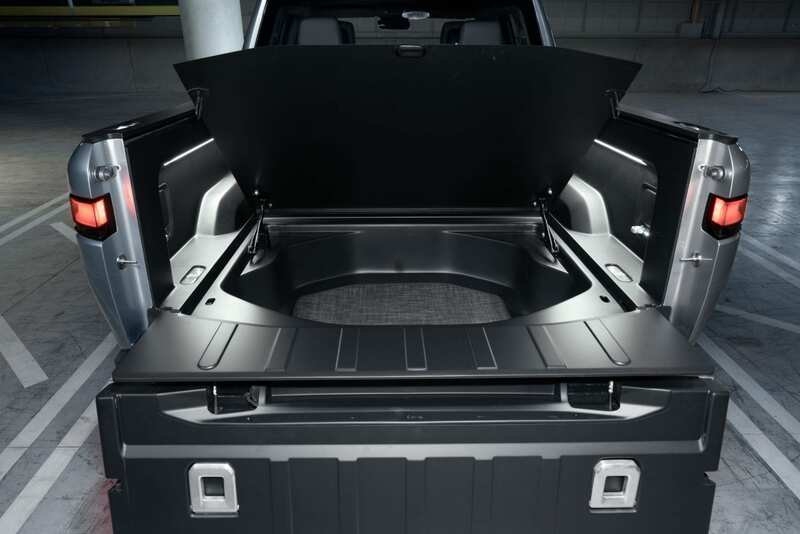 This electric truck will also have a massive front trunk boasting 11.6 cubic feet of space. 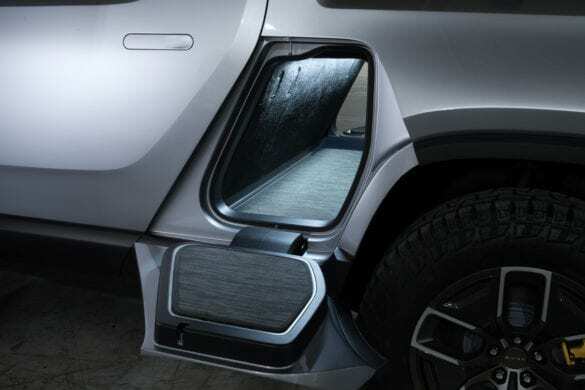 They’ve also gotten a bit innovative by adding a new storage space called a “gear tunnel” meant for things such as snow boards, fishing rods, or golf bags. It adds 12 cubic feet of space and the door can also be used as an outdoor seat or stool to easily access the roof racks. Under the bed is also a lockable compartment with a full sized spare tire. 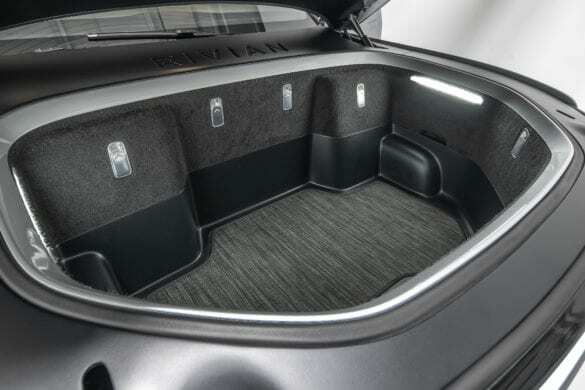 If you opt out of the spare, the compartment holds another 7 cubic feet of space. 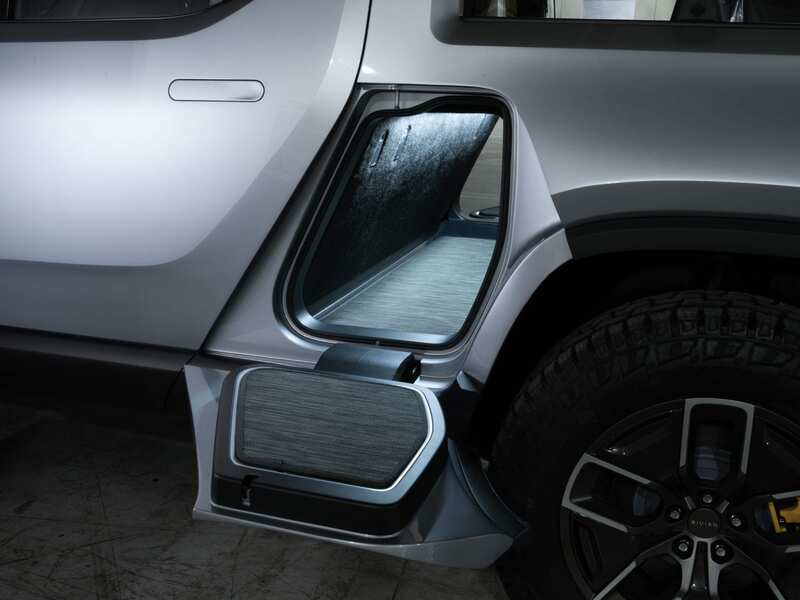 As every new car entering the 2020’s does, Rivian is also focusing on tech. The R1T has 3 massive screens. 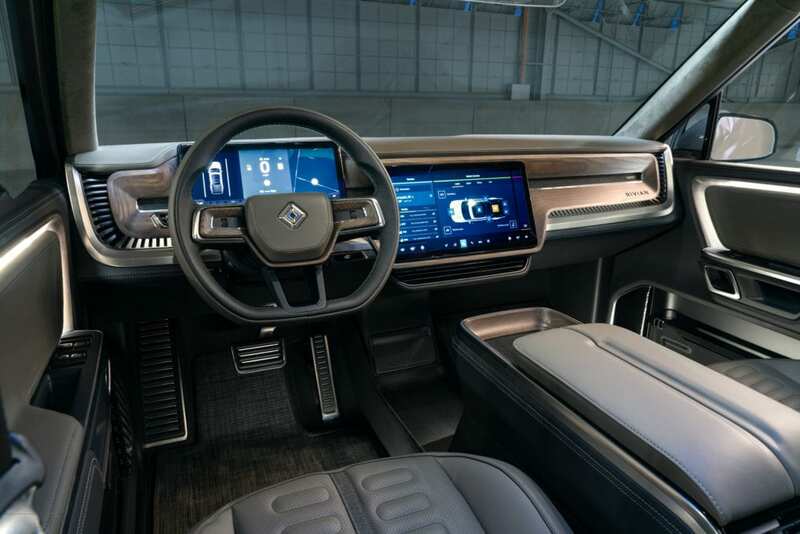 One replacing the traditional dash, another replacing the dials behind the steering wheel, and the third in the back for infotainment and climate control to rear passengers. The R1T is also equipped with cameras, LIDAR, radar, and ultrasonic sensors for level 3 autonomous driving. The R1T will have fast charging capabilities up to 160 kw with an on board 11 kw charger. That excels current standards and meets what will most likely be standards at time of release but we aren’t so sure it’s future proof with the ongoing 350+kw chargers being prepared. 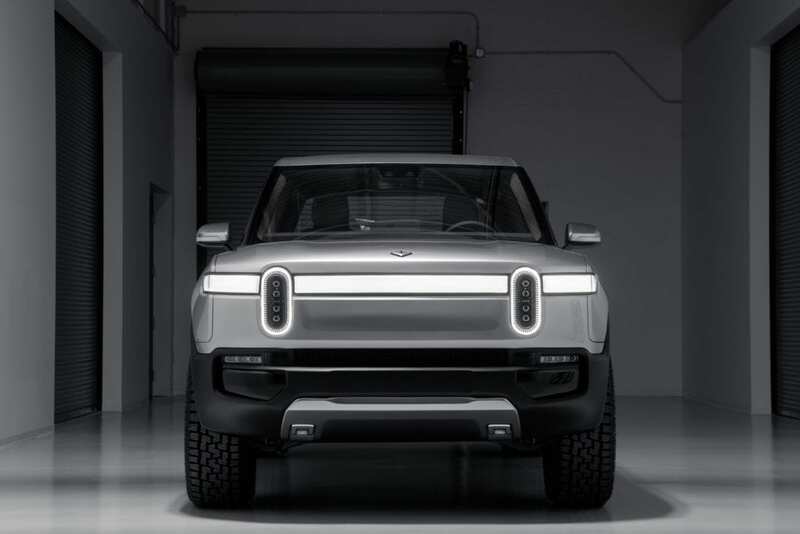 The Rivian should charge 200 miles in 30 minutes. Right now, Rivian has the most promising all electric truck. They’ll most likely be the first to hit the market and if the production version is anything like the concept revealed, it’s sure to be a hit. The Rivian R1T will start at $69,000 with no word on how high pricing will go. This Arizona based company is considered the markets underdog by many. With a fraction of the workforce and very little funding, they have still managed to state some out of this world specs for the Atlis XT electric truck. Atlis plans to bring a 500 miles ranged work force truck to market by 2020. 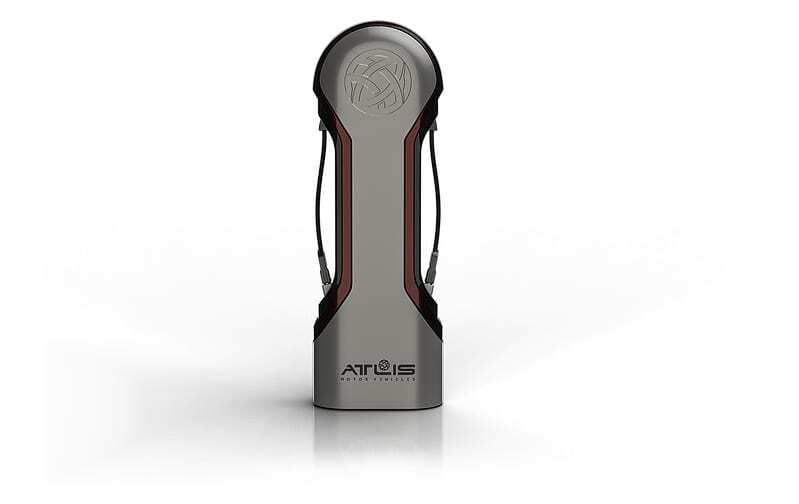 The Atlis XT will have a base price of $45,000 with a base range of 300 miles. Other range tiers are set for 400 and 500 miles with no stated pricing. The truck will be made available in a 2 and 4 door option. A 0-60 of 5 seconds and top speed of 120 mph isn’t breaking any records but sure is impressive for an electric truck. 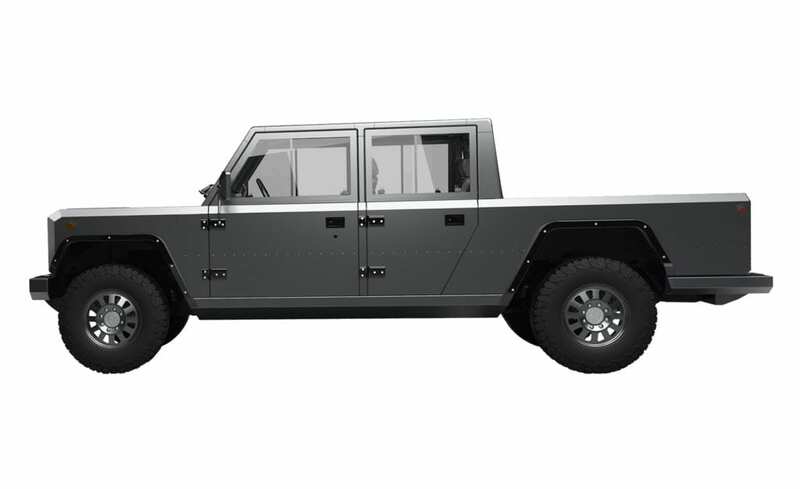 Atlis makes it clear that they don’t want to enter the luxury market, instead they want to create a full-fledged electric work truck. A wide range of options are expected. 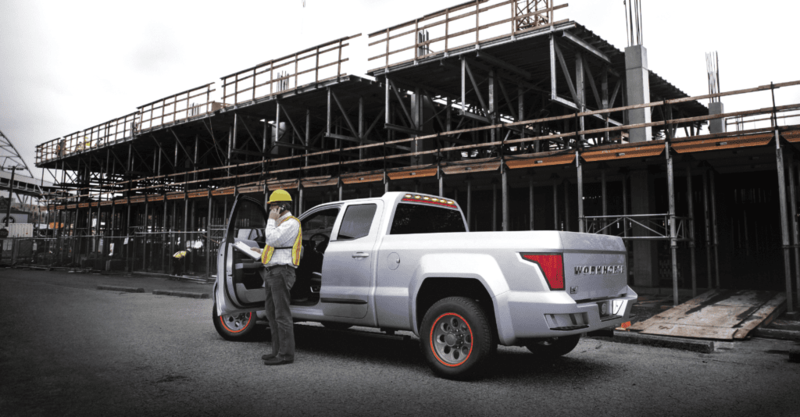 From a 6.5’ bed to a 8’ dually, they’ll be a version for every job. True four-wheel drive with independent power delivery for maximum traction control and independent air spring suspension will give this beast off road capabilities. Maximum towing capabilities are set at 35,000 lb GCWR up a 6% grade while maintaining 65mph for the dually with a gooseneck. The standard trailer hitch will have options starting at 5,000 lbs up to 20,000 lbs. Payload capabilities range from 1,000 – 5,000 lbs. 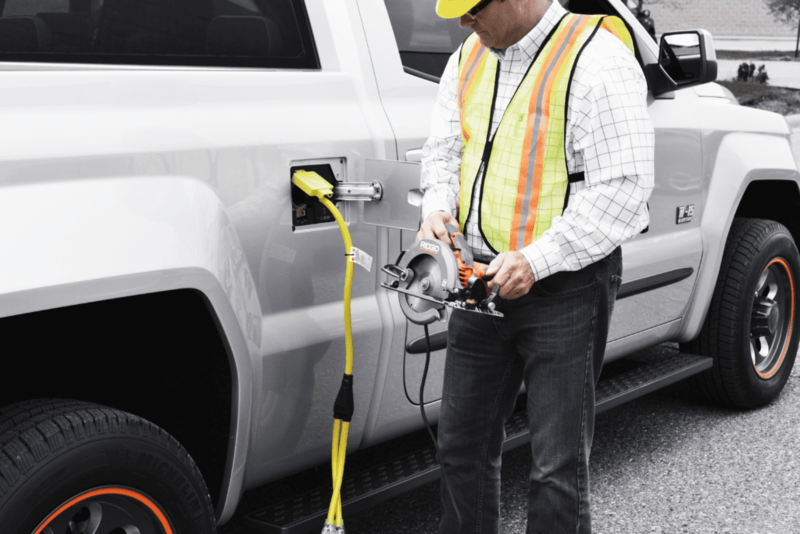 Atlis also plans to add a bit of tech to their electric work truck. Replacing rear view mirrors with screens mounted on both sides of your steering wheel, you’ll have a better view of your surroundings. They also plan on having an adaptive cruise control option and adding advanced autonomous capabilities in the future. In addition to a truck, Atlis is also looking to enter the infrastructure market with their own charging stations built specifically for electric trucks and EVs with towing needs. While the current infrastructure market is looking into 350KW chargers, Atlis plans on making theirs a ludicrous 1.5MW. For some perspective, a Tesla Supercharger today is capped at 120KW. Atlis wants their 500 mile ranged trucks to charge from zero to full in just 15 minutes. For a company with so many promises, they have yet to show any actual numbers. We have yet to see the actual battery capacity, horsepower, torque, or any pricing apart from the base. With the handful of employees and close to no funding, Atlis is nowhere near as prepared as others. But that won’t stop them from trying. Atlis recently received $1.04 million in public investment to build their first prototype. If you’re a fan or believe in their future, keep an eye out for their next public offering. 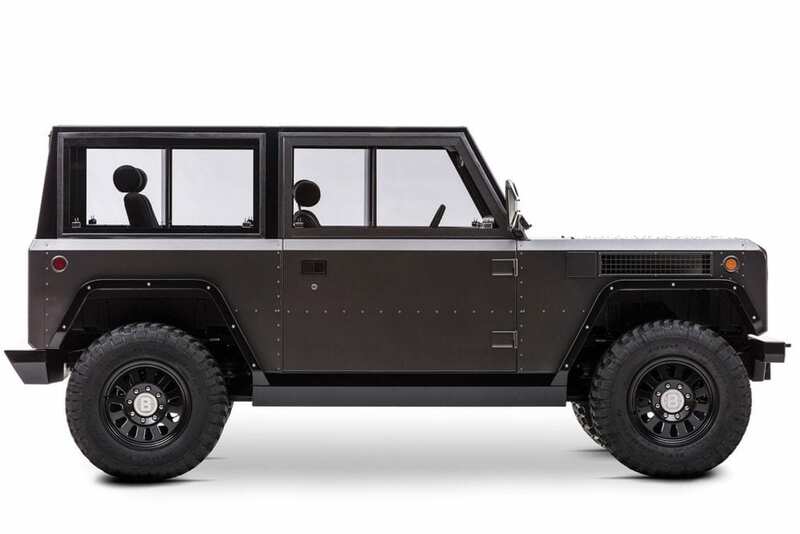 The new startup Bollinger actually has two electric trucks coming to market. The B2, and electric pickup, and the B1, what they call a “Sports Utility Truck”. Bollinger is a small Michigan based company but they don’t see that as a disadvantage. Catering to a very small niche, they definitely have their place in the market. Both the B1 and B2 are extremely rugged and simplified vehicles. 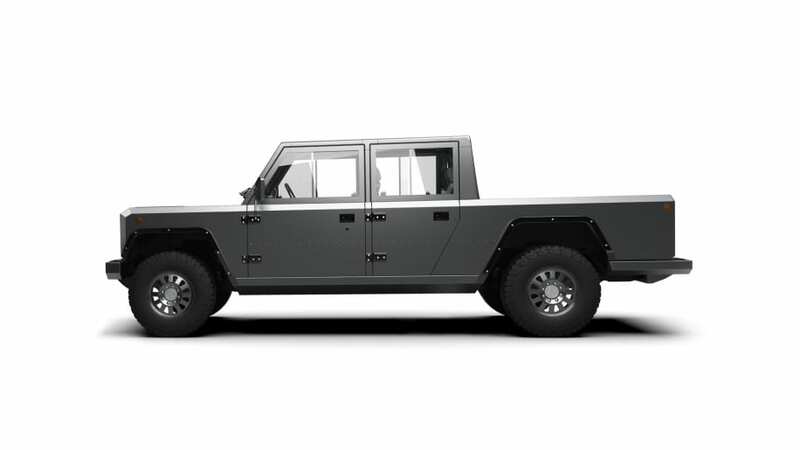 These are the electric vehicles for the next gen of Jeep and Hummer lovers. With its massive 120 kWh battery, which is currently larger than anything else on the market, it only gets a 200 mile range. Mostly due to its weight and poor aerodynamics. The typical Bollinger customer won’t go on road trips and instead use these trucks for work or off-roading. The B1 and B2 both classify as Class 3 Work Trucks and will not have airbags. These electric trucks will be able to haul significant loads with a 5,001 lbs payload capacity, 7,500 lbs tow capacity, and 668 ft-lb torque on the B2. Doors, glass, roof, and seats are all removable making this as versatile as a Jeep Wrangler. The B2 will have a max bed length of 8’2” with its wall open and rear seats removed. With its dual motors, 614 hp, and an all-aluminum body, the Bollinger B2 can reach a top speed of 100 mph with a 0-60 of 4.5 seconds. Being a smaller company, Bollinger is not looking to make their own motors or batteries. Instead they will off source most components and focus on the assembly and design of their trucks. It’s smart for Bollinger to start off small and humble rather than promise the unachievable. The B1 is scheduled to go into production in 2020 with the B2 to follow shortly after. Pricing and additional options are expected to be announced this year. Due to their simplicity, this truck can very easily enter the European market soon after with a right hand drive. “Rivian’s extremely different than us. It’s more mainstream, more luxury — and that’s great. That’s their market, but it’s not ours. Workhorse W-15 will technically be the first electric truck on the market with deliveries set this very year. Although it’s not fully electric, it is a plug-in hybrid. It can go 80 miles on all electric with a 60 kWh battery pack with an additional range extender supplying a 310 more miles. The range extender, supplied by BMW, is just a gas generator that supplies power to the electric motors. It could possibly go even further on electricity but 20 kWh are reserved for degradation. That means the manufacturer stated 80 mile electric range should remain the same throughout the majority of this vehicles lifetime. 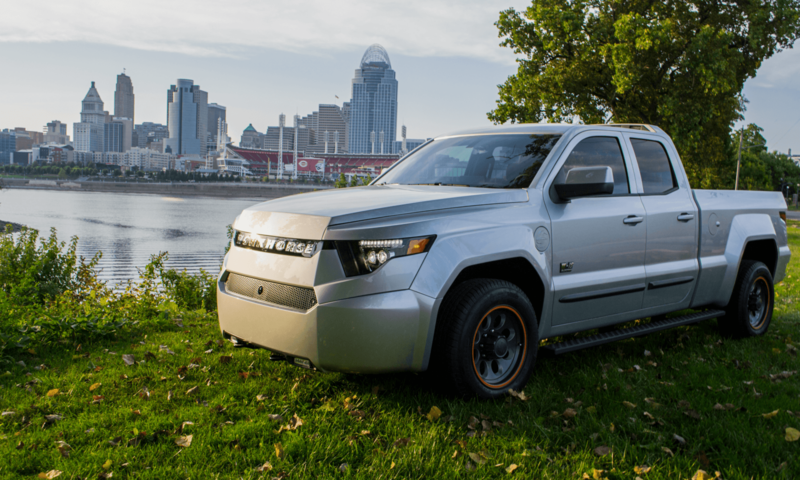 You probably haven’t heard of Workhorse and their plug-in hybrid truck, and there’s a good reason. Workhorse typically produces trucks and vehicles for fleet use. Think utility companies or UPS. They don’t generally deal with the public. That is until now. Workhorse opened up reservations for their W-15 last year. The Workhorse W-15 is nowhere near record breaking with its 5.5 second 0-60 or 80 mph top speed. Its 2,200 lbs max payload and 5,000 lbs tow capacity also don’t stand out against its ICE counterparts for its size but it’s not meant too. These fleet trucks are mostly used for service calls and rarely haul heavy equipment. Being an electric work truck, you can obviously plug in your equipment into the W-15 and its 7.2 kW charger. If you run out of juice, the generator will just kick on. Workhorse is working on a 14-kW module that will be able to power an entire house in case of an outage. This electric truck is basically just a generator on wheels. 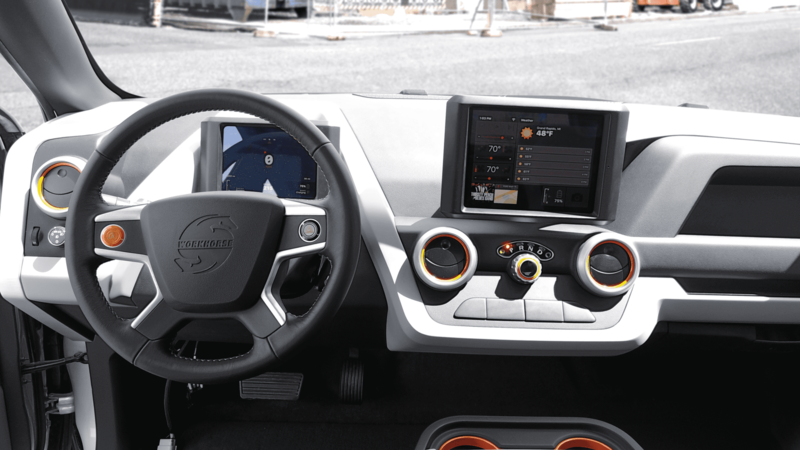 You won’t find much tech on this upcoming electric truck. The basics such as lane departure warnings and emergency braking are there but you won’t see any autopilot features. The interior looks just like what you’d expect from a truck built for fleet purposes. The W-15 is based off a Chevrolet Silverado but the chassis is fully designed by Workhorse. If you want an electric pickup truck ASAP, deliveries are supposed to begin this quarter. The Workhorse W-15 will start at $52,500 with very limited options. It is meant for fleet usage but is available to the public. We don’t know much about the upcoming Tesla electric pickup truck yet. Last year Elon Musk said we might get an unveil this year. He then later said it would come this summer. Tesla has a long way to go before starting production for their truck. The Tesla truck could possibly be the furthest away on this list, as of today. We don’t have a name or any specs yet but on a podcast, Musk went into some design details. Ditching the traditional chrome for titanium will definitely make a statement. Most are speculating that this will be on the pricier and larger side. Possibly a miniature version of the Tesla Semi. Maybe comparable in size with a Ford F350 or F450. Musk did at one point state that the Tesla pickup could possibly go over the current 100 kWh battery packs. 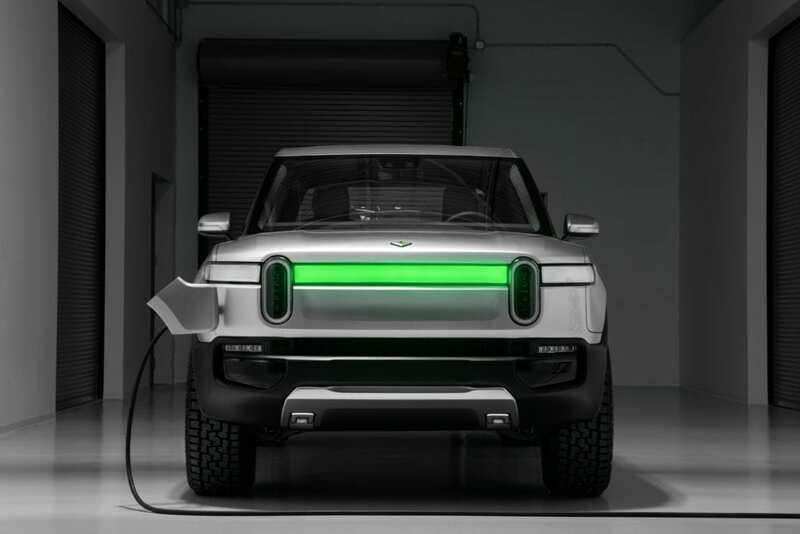 We will have to wait and see if Tesla has plans to match or surpass Rivian and their planned 180 kWh battery. A battery pack over 100 kWh would just about be required to keep up with the competition. Musk has already stated that the electric truck would have a 400-500 mile range option. He also briefly mentioned that the truck will have 240V power outlets for work tools, completely replacing the need for generators. It will be made all-wheel drive and have dynamic suspension that adjusts per load. 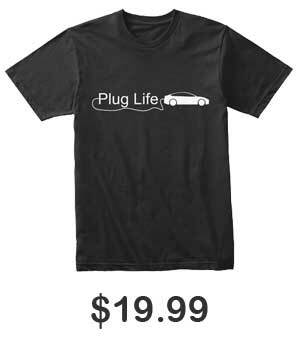 In typical Tesla fashion, I’m sure we’ll see some new innovation. In terms of size, we expect the Tesla truck to be slightly larger than a Ford F150 to make room for some unspecified “game changing feature”. What we do know is that the Tesla truck won’t be small. Musk once tweeted that the electric pickup would have 6 seats but that tweet was eventually deleted. He’s also teased a ridiculous 300,000 lbs tow capacity which will be enough to tow an entire commercial airplane. Sir, this will not be some a dainty little buttercup of a truck! Driver’s seat will be big enough to fit André the giant (love that guy). During the Model Y unveiling, Tesla teased an image of the electric truck. That image is pretty cryptic as we still do not know what part of the truck it belongs to. Some have speculated that the image shows the back of the truck while others are claiming that the image possibly shows the front instead. There’s a reason every name listed here is unrecognizable. The legacy automakers just aren’t pushing any electric trucks yet. You might be asking, why? 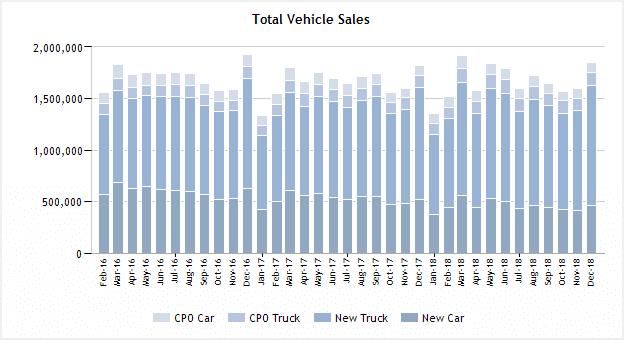 Trucks take up almost half of all car sales in the U.S. Sure, EV sales are on the rise but truck sales have not been impacted one bit by this. These new electric truck manufacturers are taking advantage of the open market while the legacy automakers sit back and wait it out. There is no real reason for someone like Ford to enter the market this early with manufacturing costs this high. As costs come down and demand increases, they’ll enter the market last minute. The Ford F150 has been the best selling vehicle in America for 35 years straight. Eventually, the electric Ford F150 will take over that title. These manufacturers have no reason to rush into the electric car business as they’ll always have customers. In one hand, this is slowing down the electric car revolution but in the other, it has given new companies the opportunity to rise and enter this new market such as Tesla. We don’t expect electric car sales to surpass traditional gasoline anytime soon but numbers are rising. EV sales are at a steady incline and legacy automakers will follow by easing into the new market slowly. Ford is scheduled to have an F150 hybrid available by 2020. The 2019 Ram 1500 eTorque technically has hybrid technology with a small electric motor for adding torque. Dodge has stated no plans to actually electrify any of their trucks. Chevrolet’s parent company, GM, has stated that they have no intentions to manufacture an electric truck anytime soon. 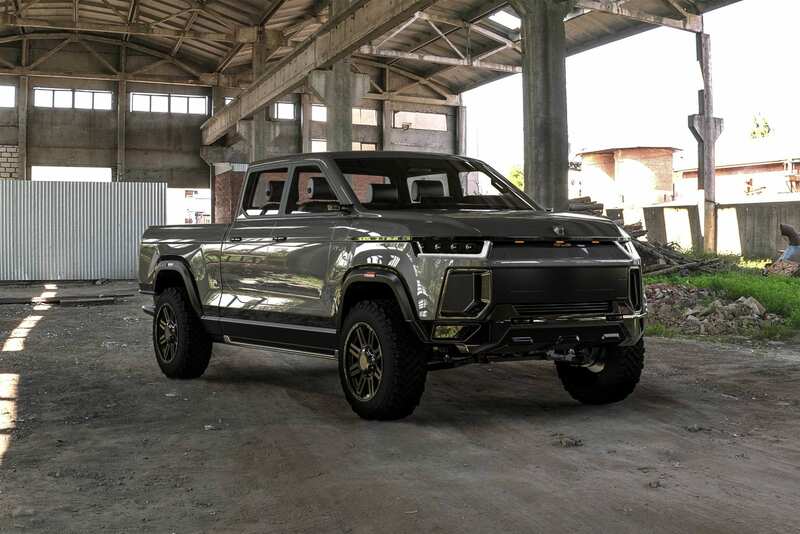 Anyone who is interested in Rivian Automotive, check out this forum! https://www.rivianautomotiveclub.com/home/1st-1k-members-free-gift/receive-your-free-rivian-keychain THE FIRST 1,000 members get a FREE Rivian Key Chain! Jack, one of our regular contributors here at EVBite, is a self-proclaimed EV enthusiasts whose passion for all things electric drives him to analyze and report on the latest events, controversies, and announcements in the ever-growing electric vehicle marketplace. This Week in EV News: Electric Ford F-Series, VW-Ford Alliance, Nissan IMs, Electric Ducati, and More!